E-commerce enjoyed a record-breaking year in 2018, with global sales revenues estimated to have reached $2.8 trillion, according to Statista. This year, this figure is expected to rise to $3.5 trillion. To put this in perspective, if the e-commerce industry were a country, it would slot into the fifth spot, ahead of the United Kingdom, whose GDP as of April 2018 was $2.61 trillion. With such eye-opening figures, it’s little wonder there’s so much excitement surrounding the future of online retail. Amid all the hype about e-commerce, it’s easy to forget that this segment accounts for just 11.9 percent of the total retail sales around the world. Therefore, the market holds an extraordinary capacity for growth over the next decade. Yes, we’ve heard quite a lot about big data over the past two years, but it’s not going away. As more people come to grips with this new resource, this effort will increasingly separate the successful from the less successful e-commerce businesses. And this division will not be limited to behemoth e-commerce businesses either, because mid-range competitors too are now using their data reserves to mine unique insights. Big data, in fact, helps entrepreneurs analyze shopping behavior, trends and what products it is that are selling. It’s been proven to help e-commerce businesses make improvements in customer service, security and mobile commerce. It also powers the AI which is revolutionizing the industry (more on this below). Ensure a smooth checkout: Too many e-commerce stores still have unnecessarily drawn-out checkouts. Consider whether you need any more than two stages, i.e., you can fill in the details on one page; then confirm those details and items on the next. Above all, understand that providing excellent customer service is no longer a bonus for an e-commerce business. It’s now the norm. 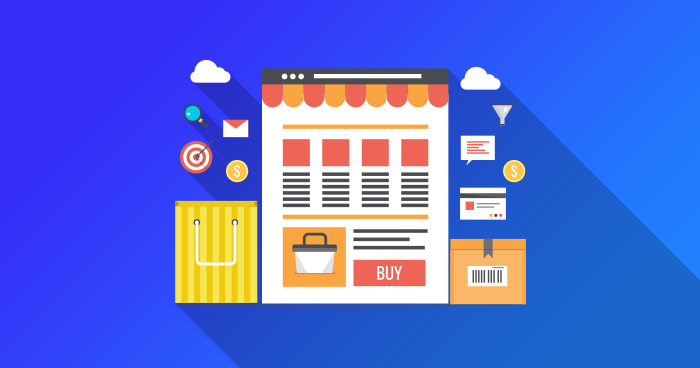 Without good, well-ordered data, you will not be able to embrace the latest technologies that can drive revenue to your e-commerce store. AI is already evident in many e-commerce stores. Those automated live chatbots, advanced data analytics and inventory management tools? They are all powered by AI. Entrepreneurs who take the proactive approach, embrace the latest advances in tech and make use of data will reap the rewards in e-commerce. As AI becomes more mainstream, it is essential that ecommerce business owners take personalization to the next level. Simply having a product recommendation plugin is no longer enough; you need to be proactive and utilize tools in the right way, with well-curated data, to maximize their potential.